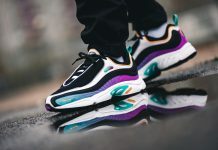 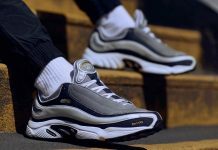 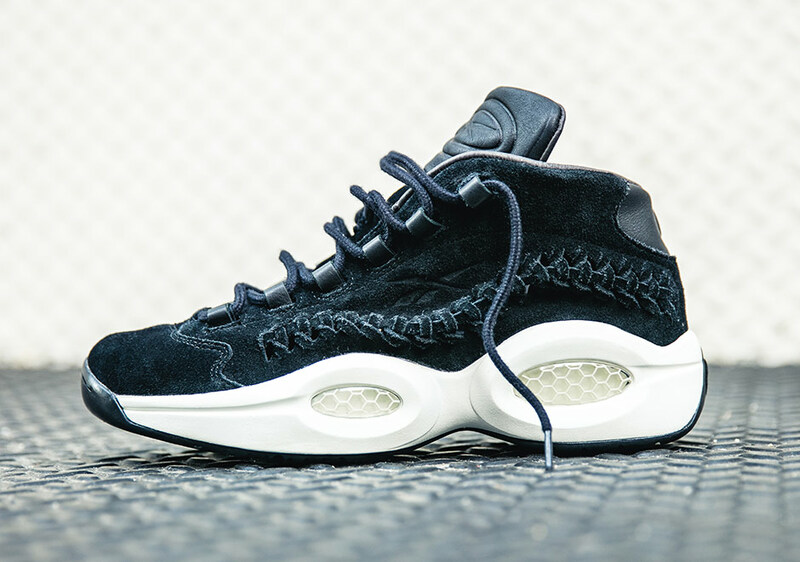 Reebok Question x Allen Iverson "Braids"
Hall of Fame is the next brand to collaborate with Reebok to help celebrate the Year of the Question, with their very own 20th anniversary edition of the legendary Allen Iverson signature shoe. 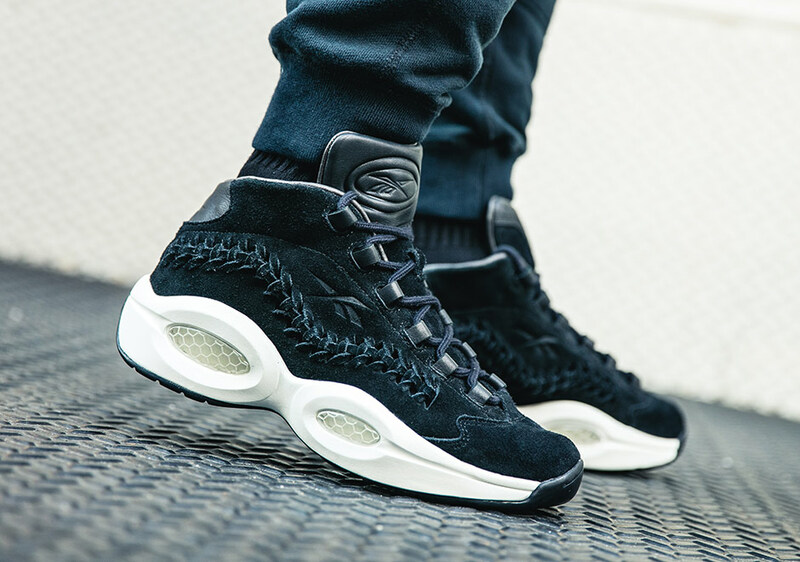 Like many of the other collaborators throughout the Question’s big year, the Los Angeles-based sportswear label looks to an important piece of Iverson’s history and style on and off the court for inspiration for their colorway. 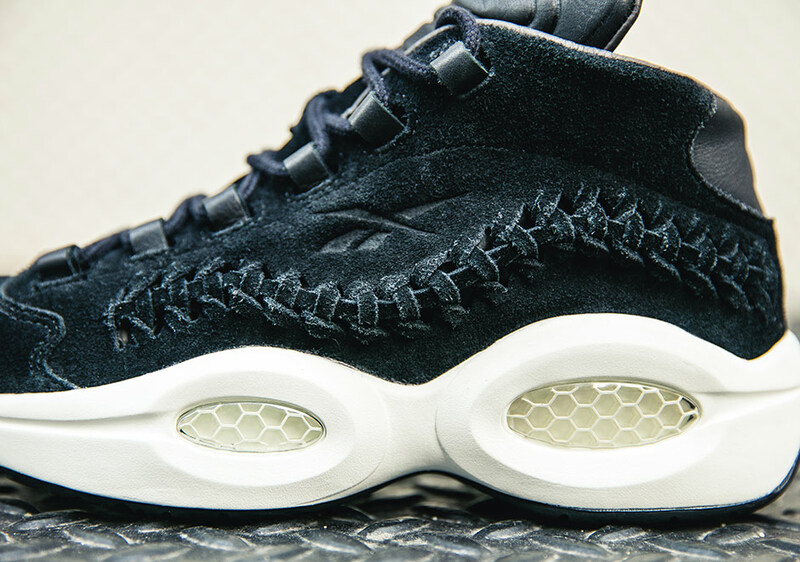 In this case, Hall of Fame highlights one of AI’s most iconic style statements: his cornrows. 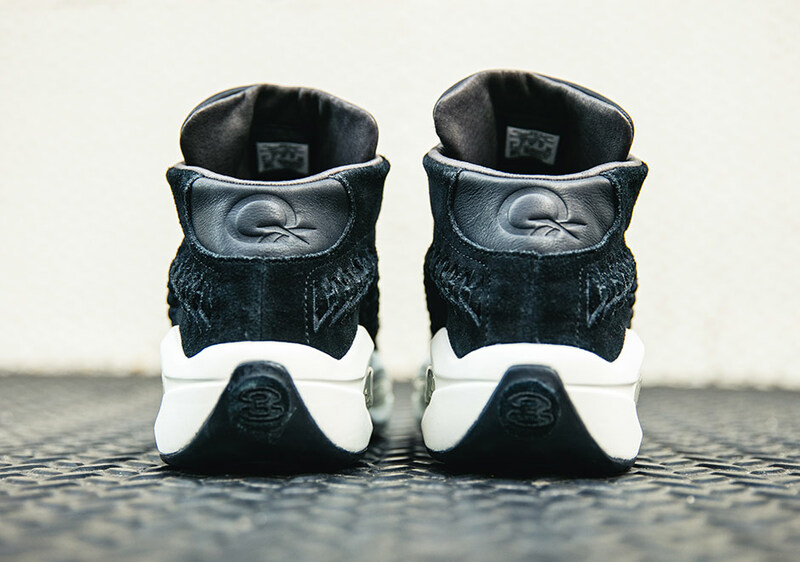 The shoe is constructed in a premium black nubuck upper with woven paneling referencing his braids, all in a deconstructed design with the usual padding removed to create a sleeker, lifestyle-minded silhouette. 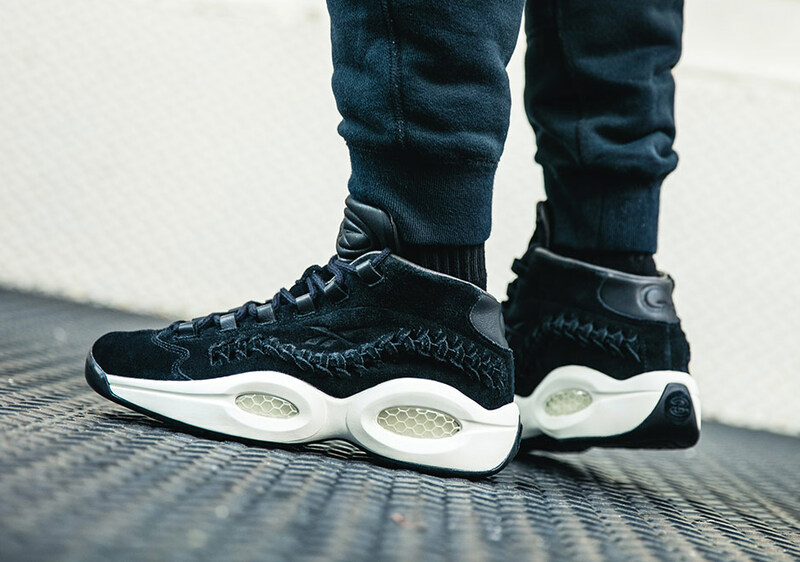 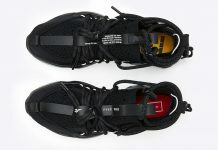 Further refinements to the Question by Hall of Fame include leather utilized for the lace gillies, inner lining, and sockliner, along with embossed leather branding throughout. 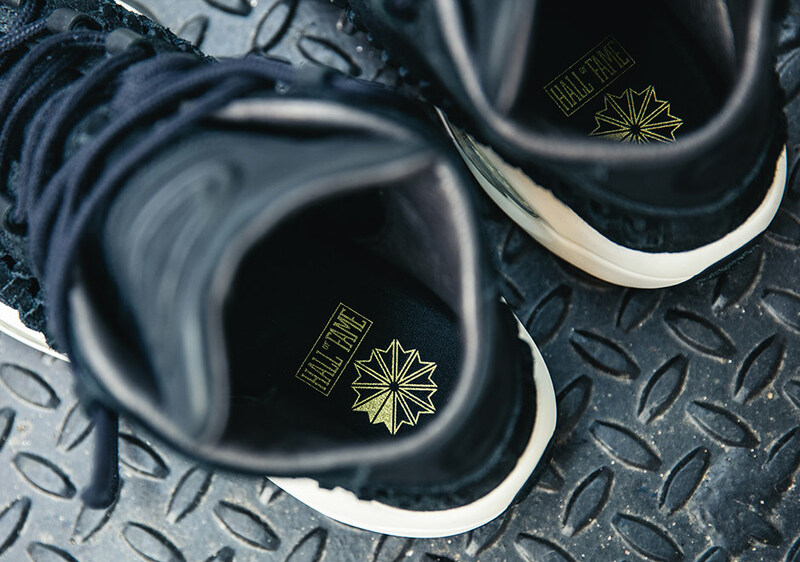 Every pair will also come with multiple lace options in Philly’s alternate uniform colors. 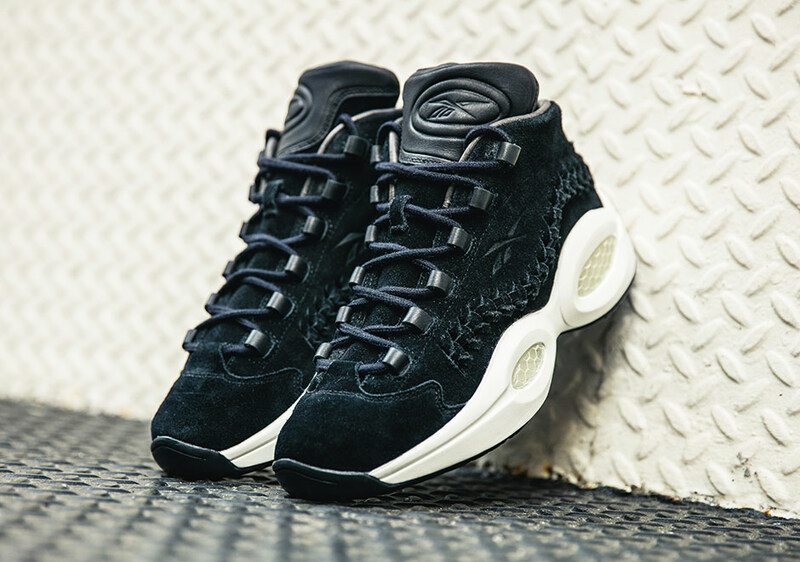 The Hall of Fame x Reebok Question Mid launches at Hall of Fame’s LA store and on HallofFameLTD.com this week, and on Reebok.com and select Reebok Classic retailers this Friday, November 11th.